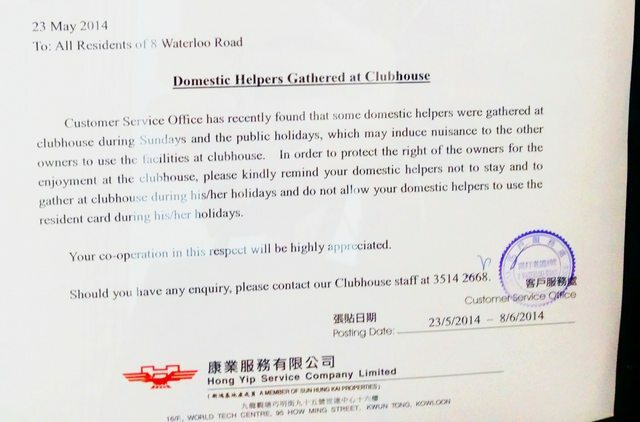 Share the post "NEWS – Building Bans Domestic Helper Residents From Own Clubhouse"
Hong Yip Service Company’s ‘8 The Waterloo’, and clubhouse. On Wednesday, the company responded to a query by hongwrong.com saying they have now removed the notice and referred the issue back to the Owner’s Committee for discussion. 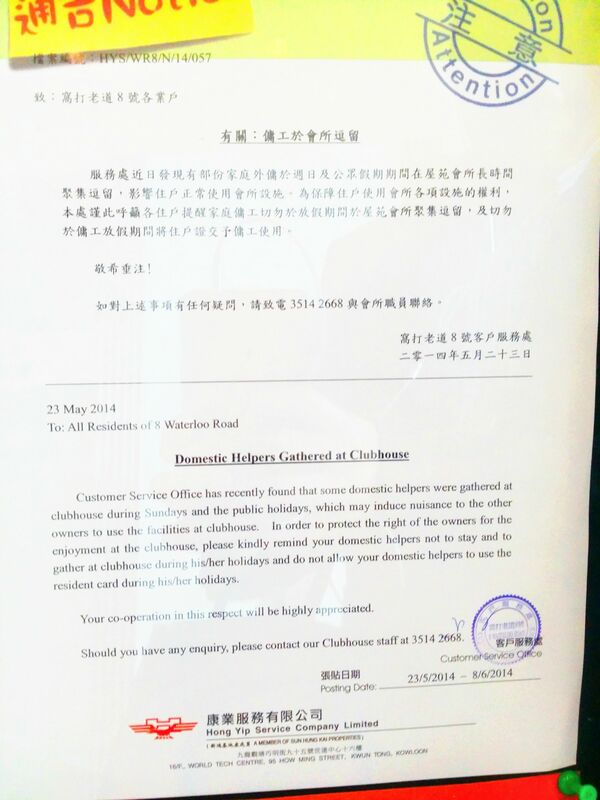 Site manager Erin Yin Tak Keun said, “No discrimination whatsoever against any minority group was intended… The notice was just an attempt to eliminate the reported nuisance made to the Clubhouse users”. 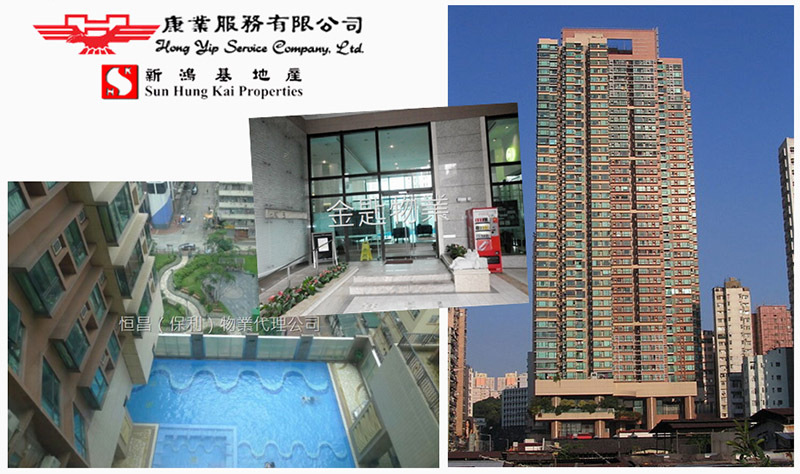 HK Helpers Campaign will follow up with the building’s management about the upcoming meeting. ‘No discrimination … was intended’. What a joke! Of course the action was intended to be discriminatory. It is a clear case of racial discrimination. What was not intended was that they got caught out doing this.